The industrial trend shows no signs of stopping. Whilst you can make the most of your space with the original materials such as wood, brickwork and metal, the right furniture can really complete the look. Here are recommendations of the most popular industrial chairs for 2019. 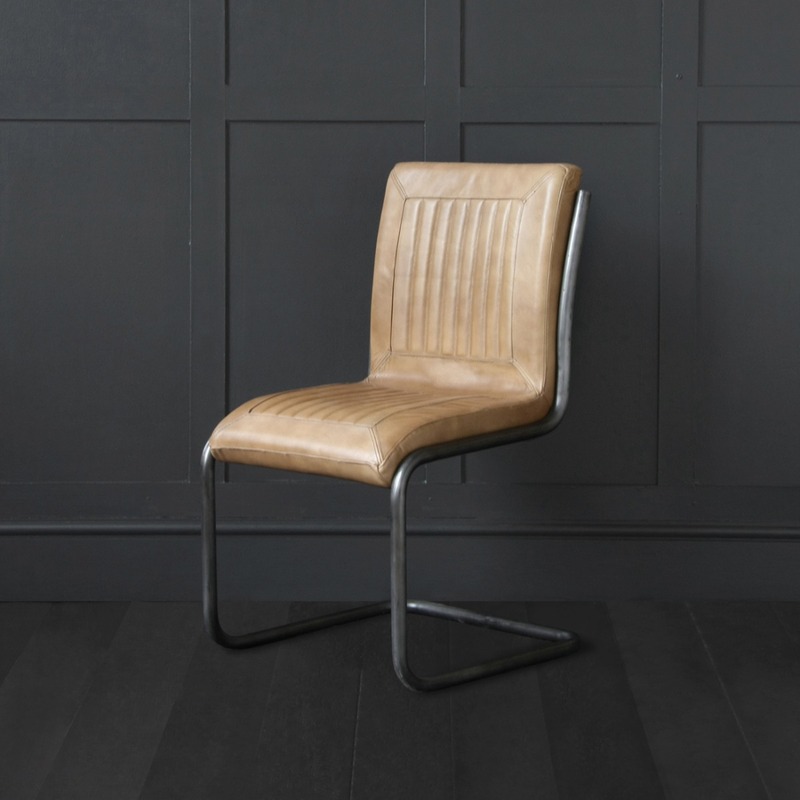 In 2018 the leather Saddle Chair was a big winner in the industrial market. 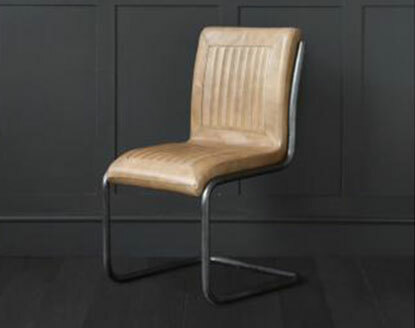 An evolution of the Saddle Chair, we predict the Road House Dining Chair will be equally as popular. 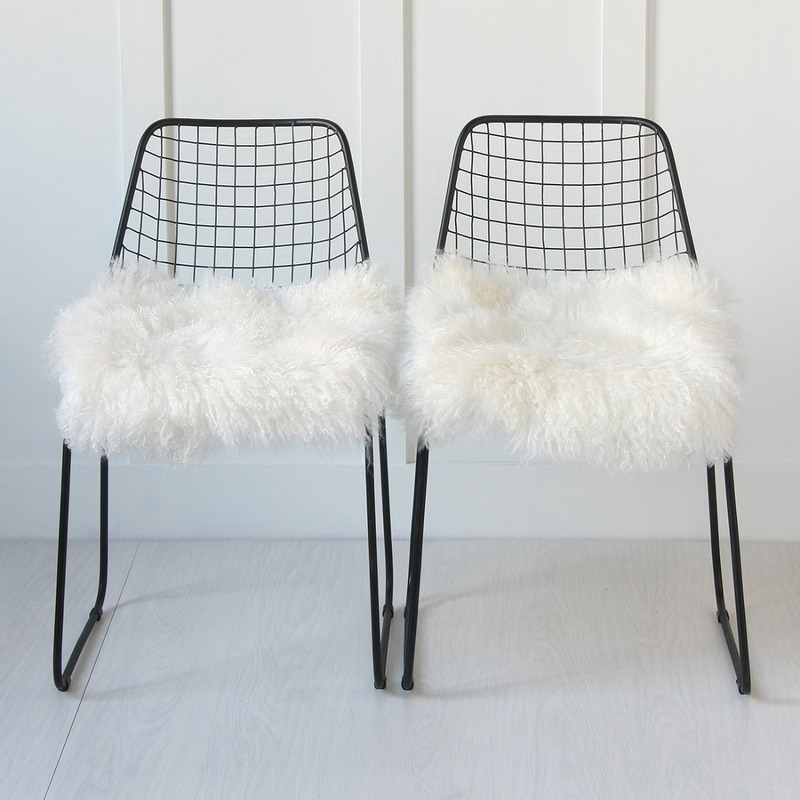 Hairpin legs on furniture has seen a huge rise in the last year. The legs are often paired with a basic seat or table top to give the legs the full focal point. 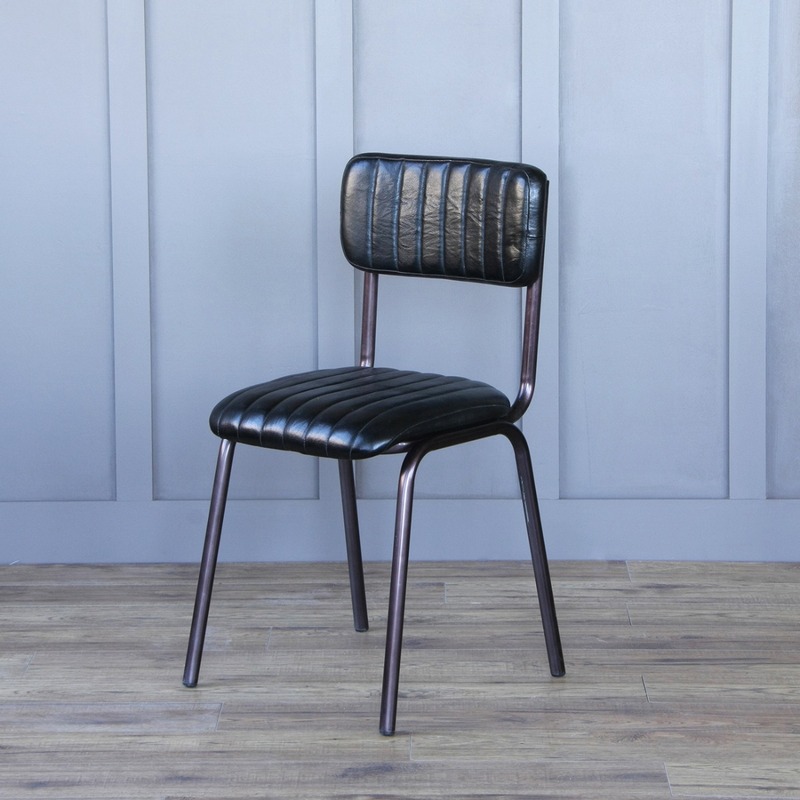 The Hairpin Industrial Chair features an upholstered seat and back making it much more comfortable. Mixing a retro feel into the industrial style will be a big trend in 2019 and The Diner Industrial Chair is styled on 50s America. It’s exposed metal frame allows it to complement industrial settings both residential and commercial. This minimalist, lightweight chair comes with two different coloured leather cushion pads meaning you can change it to suit your style or decor. With style shifting so often, we can see this being a popular option. 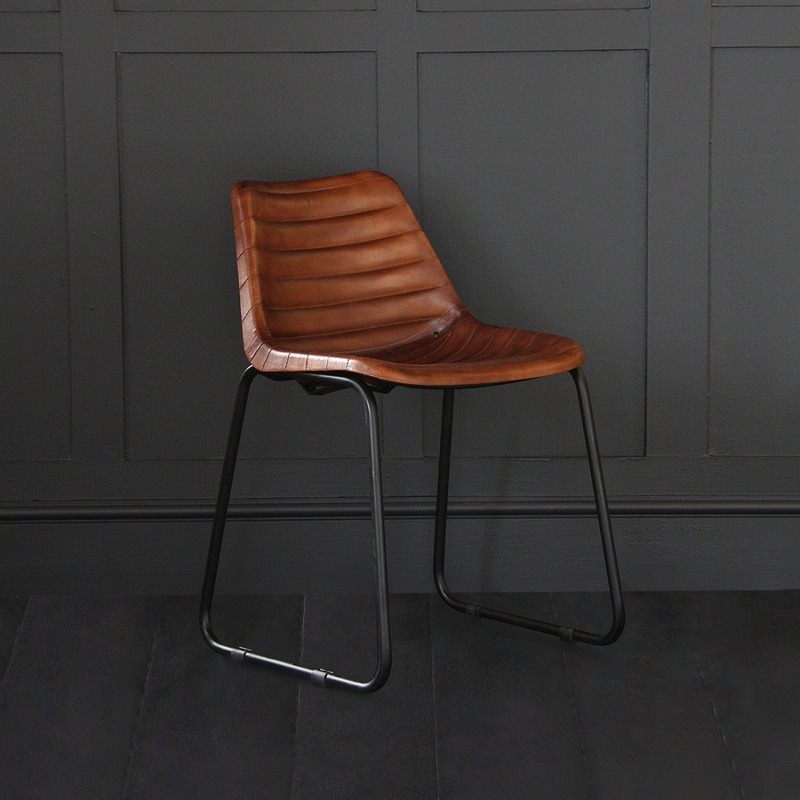 This industrial chair has been hugely popular in 2018 and we predict that it will continue to be in 2019. 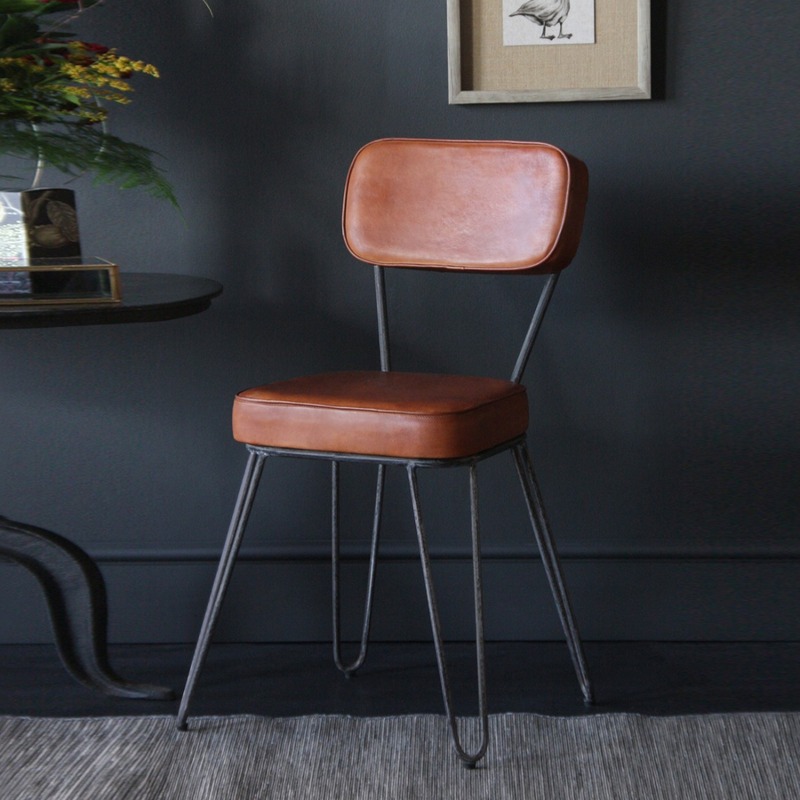 The worn appearance of the seat pad against the metal frame gives the chair great character and it has found a balance of a vintage style and a modern industrial piece.